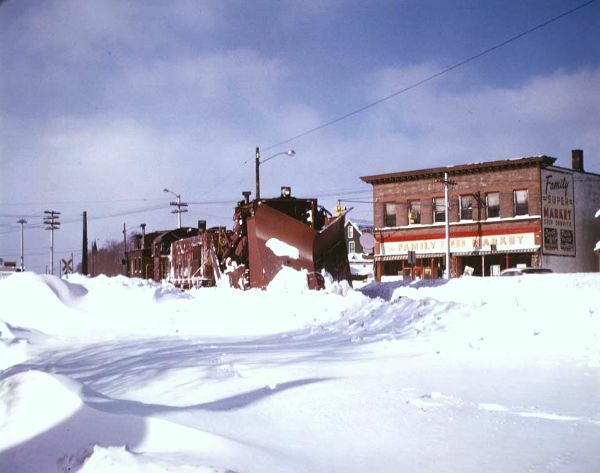 Snow Plow train - Jan./1965 , at (then known as) - Sakari's Corner. Is now Quincy St., M203, & S.Lincoln Dr. The then Family Market was originally Sakari's Market, and is now the Market Apartments. Gino’s Restaurant is just to the left (out of picture).